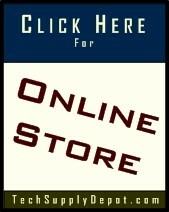 Now Shipping!!! We have completely revamped our remote venting line of products. Traditionally these types of fans were too aggressive which meant were loud. They were bulky and difficult to control due to the fundamental nature of high voltage fans. Fan speed controllers came with their own set of issues which is why you did not see them offered by us as a commitment to solving problems, not creating new ones. However, technology has progressed to the point where, and to skip a lot of the technical details, these fans now come with a host of great improvements and enhancements. The driver for such advancements was mostly energy efficiency and being green but what that means in our world is that the fans are now controllable to operate smoothly at varying speeds. On one hand and the thinking was that this makes them more efficient but in our world that means can be operated quietly. What could also be better, high voltage fans controlled via low voltage controllers, that's shangri-la for us since we live and operate in a low voltage world. So now our inline duct fans will be controllable with our existing low voltage controllers as well as new wall mountable thermostat style controllers. We are also introducing versions in 3", 4" and 6" with air movements for most any application. 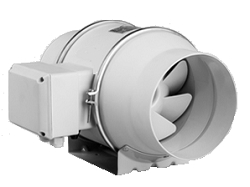 We're also introducing a 3" budget friendly low voltage inline fan built to fit in the tightest of spaces. We will also have high voltage multi-speed fans and EC (low voltage controllable fans) with both retail and professional versions available. These products have been designed for remotely venting areas where heat is a problem. These areas can include equipment rooms and closets, as well as racks, projector enclosures and built-in cabinetry. Inline Duct Fan (VS-IDF) - The Inline Duct Fan was designed to economically ventilate equipment rooms and closets, projector enclosures, racks and built-in cabinetry from a remote location. Inline Duct Fan - Enclosure Vent System (VS-IDF-EVS) - The Inline Duct Fan -Enclosure Vent System is ideal for venting enclosures such as cabinets, projector enclosures and racks. 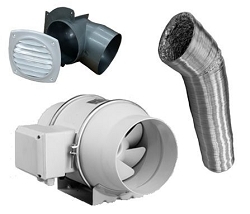 Inline Duct Fan - Ceiling Vent System (VS-IDF-CVS) - The Inline Duct Fan - Ceiling Vent System is ideal for remotely venting equipment rooms and closets. It is very important to NEVER vent air out of the home! The only exceptions are bathroom and kitchen venting as that air is considered undesireable where air that is simply heated by components should be recirculated through the house. HVAC systems are designed to recirculate air and in the summer, warm air from the house is simply reprocessed into cooler air. In the winter, that heated air can be utilized as part of the HVAC system as well. When venting out of the home though, that air is replaced by air from either the attic or outside which can be hot, humid, dusty, smelly, etc. It takes more energy for the HVAC to 'condition' that air than air simply heated by components.